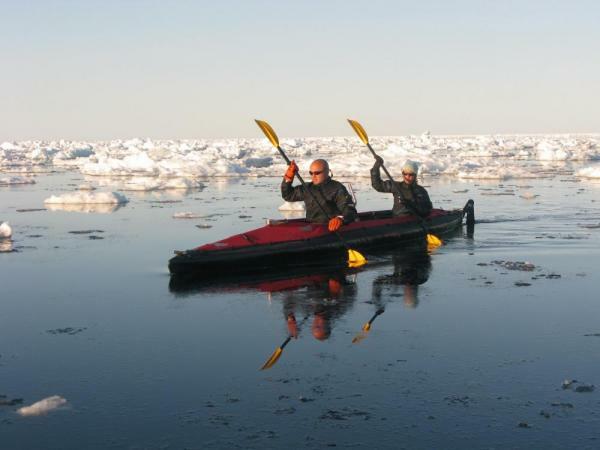 Arctic Tour - Migrations of the Northwest Passage Polar Tour. 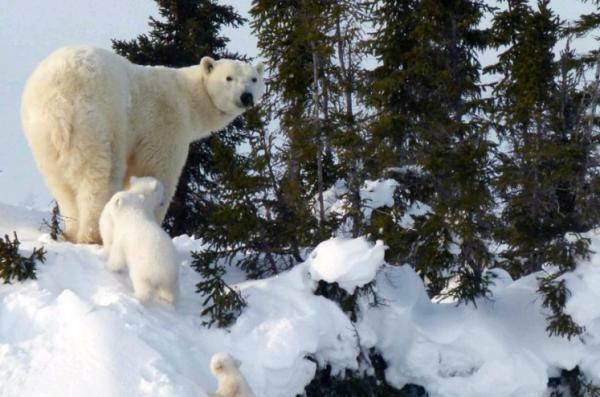 Journey on an ultimate scenic and wildlife safari to witness the migratory patterns of some of the most exceptional animals the Arctic has to offer, including the mystical narwhal and beluga. 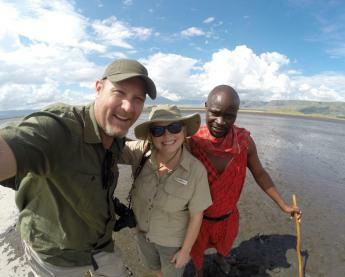 Join this small group adventure of up to 14 persons consisting of high end safari-style ice camping deep in polar bear country to primarily observe the natural wonders of the annual spring migration. Upon arrival, meet your trip leader at the Nanisivik airport just outside of Arctic Bay. A welcome dinner at the hotel and introduction to the other team members is held. 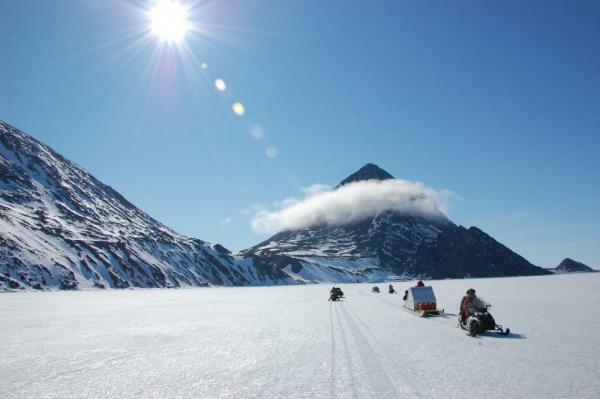 After breakfast, travel by snowmobile and qamutik (traditional Inuit sled) to base camp near the floe edge. 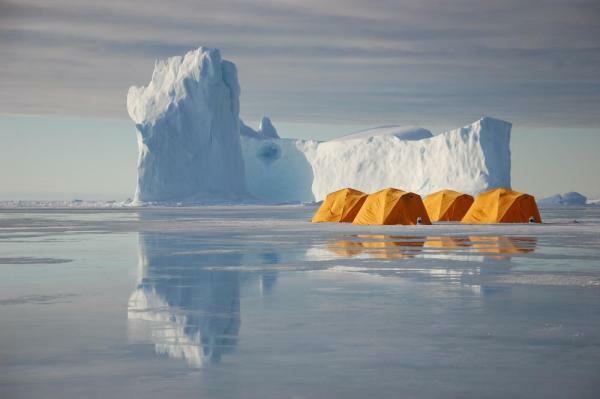 Settle into camp and take in the incredible mountains, icescapes and picturesque scenery that surrounds you. Make your way along the spectacular red-hued St. George Cliffs that tower thousands of feet vertically above your head and admire the vast panoramas of the Arctic. 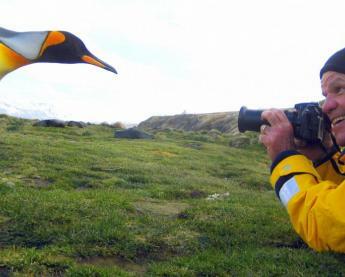 Pass by bird cliffs, home to many species of nesting birds such as black-billed murres, kittiwakes, and more. Upon arrival at base camp, be welcomed by the rest of the team with delicious hors d’oeuvres and warm drinks prepared by professional chefs. After settling into your spacious quarters feel free to wander and absorb the incredible mountains, ice, and picturesque scenery that surrounds you. Experience the beauty and wonder of the floe edge. 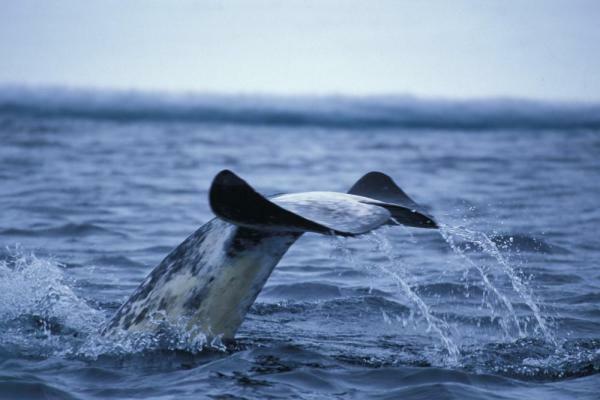 The time of year provides a perfect opportunity to observe the annual migrations of narwhal, beluga, and bowhead whales, and makes for an excellent season of Arctic whale watching. Admire the grace of the narwhal and delight at the sight of belugas who appear to always be smiling as they glide through the tranquil waters. Bowhead whales may also make an exciting appearance as they spy-hop and splash back down into the water just meters away. 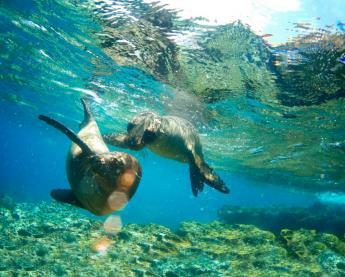 You may also opt for a more exciting and up-close and personal encounter with these majestic sea creatures by kayaking and snorkeling amongst them. After donning your dry suit, enter the exhilarating waters and experience some of the most magical moments of your life as whales swim beneath you. Enjoy short hikes overland to towering icebergs and experience the dramatic, silent panoramas unfolding to the horizon. Be dazzled by the impressive ice formations and glistening icicles that dip into turquoise blue melt-water pools and then take a break with some warm tea made from fresh chunks of 1000-year-old ice. You may spot polar bear tracks and follow them for a chance to observe them prowling for prey from a safe distance. Spend the day at camp. Travel back to Arctic Bay and enjoy leisure time exploring the local community, and a cultural presentation by Inuit throat singers. Depart camp and travel to the Arctic Bay airport. Fly by charter to Iqaluit and spend the night at a hotel. Transfer to the Arctic Bay airport for your charter flight back to Ottawa. 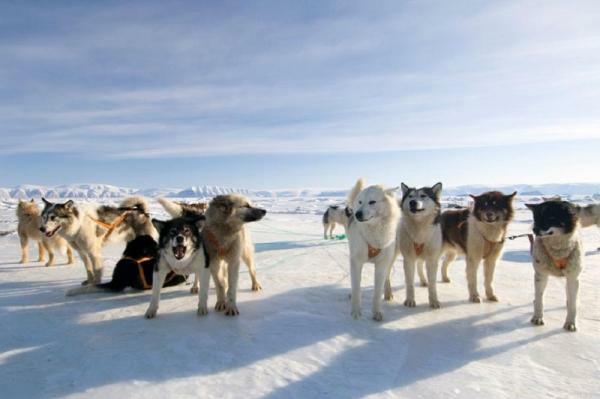 After breakfast, transfer to the Iqaluit airport for your charter flight back to Ottawa. Please add 5% sales tax from Arctic Bay. Please Note: 2018 Fares are based off of current exchange rates from the Canadian Dollar. Contact us for current rates. Drysuit, mask, fins, hood, gloves for snorkeling. Initial deposit is $2200, and most travelers will call our office and pay the deposit with a credit card. Alternatively, you can register online here.